The Dutch established a presence along the Eastern seaboard more than a decade before the arrival of the Swedes in 1638. They sought to expand the colony of New Netherland, which was centered in present day New York state. In 1655, they took control of Swedish territory in the Delaware River Valley. The Dutch had an even richer brewing tradition than the Swedes and, back in their native kingdom, an industry thriving on beer production and export. 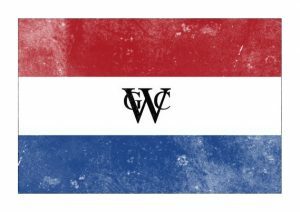 There were several Dutch breweries operating in New Amsterdam (present day Manhattan) and New Beeverwick (present day Albany) by the time they assumed control of New Sweden. As the center of the Dutch holdings in the Delaware region, the village of New Amstel (present day New Castle) had as many as three breweries operating during the Dutch reign from 1655-1664. If he did not brew beer, Foppe Jansen Outhout certainly served it at his tavern along the Strand at the current location of the George Read House gardens. Outhout’s tavern was a popular meeting place for male villagers and soldiers stationed at Fort Casimir. 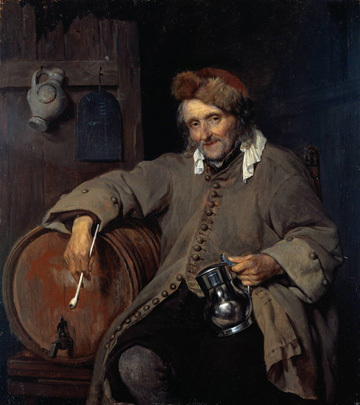 In 1657, another New Amstel tavern owner, Harman Jansen, was brought up before village authorities because he had allegedly tapped beer that he brewed without paying an excise. Hendrick Kip (II) also operated a brewery in New Amstel sometime after 1659 on what was known alternately as Bever or Brewer (now called Fourth) Street. Kip sold his brewery and moved to Flatbush, Long Island around 1664, just before the English took control of the Dutch colony. Reynier Reynertsen Vander Cooley purchased Kip’s property and appears to have continued the brewing and distilling business for a short time. He moved to Kingston, New York in 1665 but, in 1670, sold his brewing and distilling equipment and returned to New Castle. It is suspected that Vander Cooley may have again taken up brewing and distilling as a trade in New Castle. In 1681, he was charged by the court with violating the law that prohibited the sale of liquor to indigenous people. New Amstel governor Alexander d’Hinoyossa had a brewing facility constructed inside of Fort Casimir in about 1663. The brewery utilized a large copper brewing kettle confiscated from the Swedes during the invasion of Fort Christina. The Dutch exported beer made at New Amstel to the English living in Maryland in exchange for tobacco. Beer was such an important export for the Dutch that d’Hinoyossa was accused of stripping Fort Casimir’s wooden palisades as kindling for the brew kettle. Andries Hudde served the Dutch East India Company at Fort Casimir in several capacities from 1651 to 1660. Among his many vocations, Hudde was also practiced in the art of brewing. In fact, he may have been directing the brewery operations at Fort Casimir. The English had tried unsuccessfully for several years to recruit Hudde to Maryland, as the English colony was said to have no capable brewers. After a short tenure at Fort Altena (f/n/a by the Swedes as Fort Christina), Hudde was granted his discharge from the Company and immediately left to work as a brewer in Queen Anne’s County, Maryland. Unfortunately, Hudde only made it as far as Appoquinimy (present day Odessa), where he died from malaria in November 1663. The Dutch reign on the Delaware would come to an abrupt end less nearly one year later.